@keiser31, I am headed down to your neck of the woods today and tomorrow to see about a job. I may be relocating down there. Maybe I will see some of those cars that you always post about! Best of of luck to all involved in the show. Indeed it’s a lot of work, even more after you are selected, and the timing was not right for me and Ms. Peggy Sue. Please feel free to look me up in Phoenix/Medford area. Thanks. This will be a quick trip. I am hoping to check out a guest cottage in Phoenix that might work temporarily as well. I will let you know if I take the job. The home next door to us is up for sale....unfortunately, they took down the garage that was there. 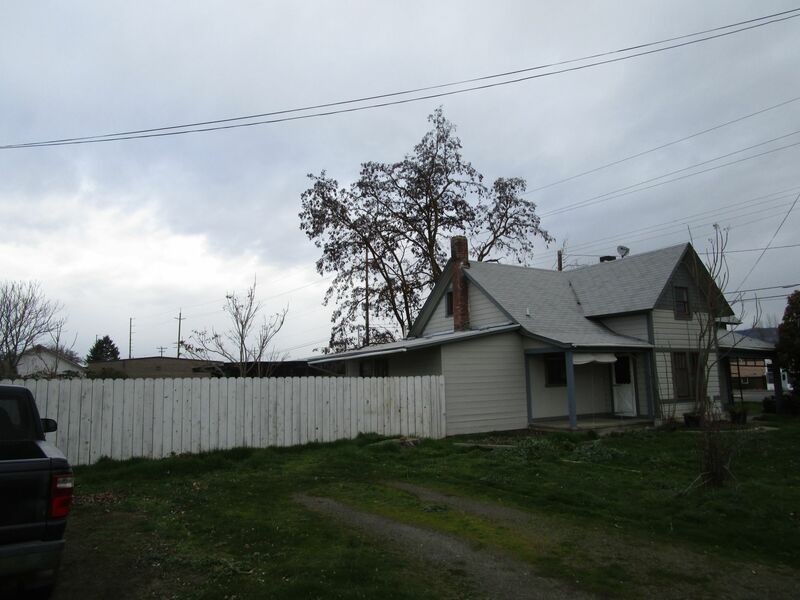 Hey John : I am curious about real estate prices in the Grants Pass - Medford area. Are they going up quite a bit as they are in W. WA ? I believe John is only about 40 minutes from Grants Pass. Yes, I live about 40 minutes from Grants Pass. The owner of the house next door is asking about $225,000, I believe. Homes here are going FAST and it is tough to find any rentals. Yes the rentals are tough! That's a Wing and Gable style house, like mine, but newer, maybe late 19th century. Mine is an 1853. It is a traditional American farmhouse. The wing probably went up first. Lots of archaeology in those places. I have the whole history of mine sorted out, original kitchen, chimney, and back yard broken pottery pile (under the lawn). 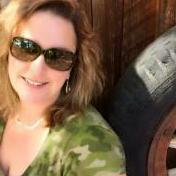 I have been thinking about a home on Grand Cayman and a summer cabin on Ruby Ridge. Diversity. Sounds bad. Glad VL2's skyliner did not get caught up in a mess. There are A LOT of bad stories. From this specific show? The guy that helps me sell the cars in Oregon said he has a buddy that had a good experience. It is true, however, that there are extensive non-disclosure agreements. As you all know, I didn’t go through with the show, although I was thinking I may do a future season. I’m downsizing my house and selling a couple more cars. I am also moving to Medford in a couple weeks for a new managemnt position. Can’t give details until I officially meet the staff. I didn’t want to move, but I finally can get back to work and this is what is open. It’s a good opportunity aside from the 250 mile move away from family and friends. With all this going on I didn’t have time for the show. Maybe it was a blessing in disguise. @CarFreak thanks for the heads up. Something was also nagging at me about the extent of those disclosures. “In the entire universe” and “for all times” type wording. On another note... if any of my Oregon area friends want to help me, or know someone who can transport the Skyliner from McMinnville to Medford, please let me know. My car hauler is only 16’ and too small. It will have to be over a weekend. If so, let me know the charge also. It’s about 255 miles south. are used to protect wrong-doing, they themselves are bad. I hope this is one show that can turn out well in most instances. I agree, please share more information. I was put on the "stand by" list for this show. I had several call back interviews, and am still on the list as far as I know. Money or fame is never a factor, normally they cost me money, and time/vacation for me. I did find these people know absolutely nothing about cars! They think they are just annoying props for a show, with even more annoying owners. That said they use them as such, expect scratches, grinding gears, basically little respect for the cars at all. Oh they will promise you the moon. 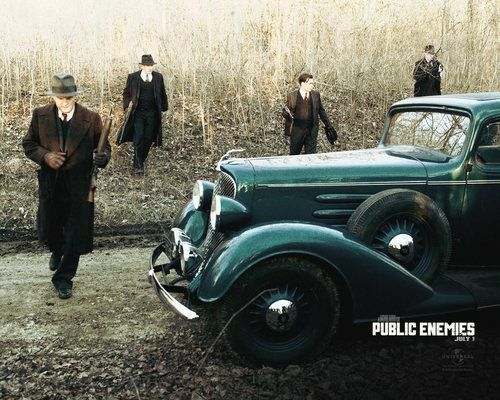 I have had cars in "Public Enemies" (9 days on set) and "Batman" (1 day) both were good experiences but be ready for 14 hour days, with no breaks, and stick within eyesight of you car, in case they want to move it (I gave them my cell number and locked the car when I was not there). 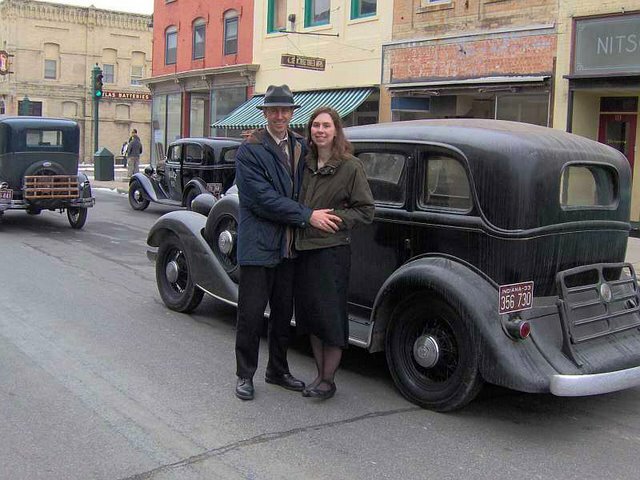 My friend had his 1933 Oldsmobile on the set, they asked to use it for a "Star Car" they drove it off. The next day they returned it with the white wall mounted in (director did not like the white walls so they took it to a tire shop and had the tires flipped around) needless to say they pealed off the paint on all 6 wheels. $1500 worth of painting and some trips to the body shop and tire shop, his car was back to normal. (they would not pay him for his time just the repairs). I did find these people know absolutely nothing about cars! I noticed that from the beginning. I even tried watching one of those shows with the sound turned off and it shows through. Victoria, consider yourself lucky. I have a little game I play of flipping through pay TV channels to see if I can go all the way only finding commercials. 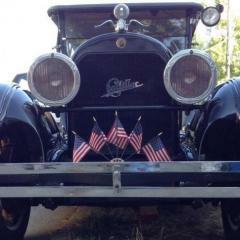 Once in a while Discovery will not be running ads promoting their own shows and one of the car shows will be on. It appears that over time they have gone from ignorant to goofy. If you ever decide to grab those moments of fame, think about a plausible but extremely outrageous bunch of bull to tell them. They earned it. One of the guys who came around to our cruise nights in the 1980's was a cop. He told a newspaper reporter that he had salvaged parts from accident sites to keep the costs down on his 1940 Chevy street rod. THAT newspaper article hung in the restaurant for a long time. You know that the top mechanism for the Skyliner was copied from the X-15 canopy plans, don't you? Ouch! 5 figure repair estimates. Some Hudson's are not even worth 5 figures. I read the disclosure and it’s extensive and has repercussions if you violate it. Please don’t ask him to give anymore info or you could jeopardize him. He can’t really talk about anything about the show even if it was other people’s stuff. There were phrases like “in all the universe” and “till the end of time” or the like. He can not disclose. Bernie, I didn’t know that. I feel like I dodged a bullet and am very glad I didn’t participate! I am very sorry for the people who had damage. That is terrible. In the end it was just too much work and hassle and I didn’t really want to be on tv anyway. I just wanted to talk about my father’s love of cars. It would have crushed me if the car had been damaged and I have way too much going on to deal with that drama. I would have probably lost it on them and had my own episode from it. ? Very wise to run, not walk, away from these people and their show. Sure seems as though they need you more than you need them. 9. Whether or not you are selected to be a participant on the Program, you shall keep in strictest confidence and shall not disclose to any other applicant, participant or other third party at any time (i.e., prior to, during, or after the taping or exhibition of any episode of the Program) any information or materials of any kind, including without limitation, any information or materials concerning or relating to Producer or to Network, the business of Producer or Network, any program produced by Producer and/or exhibited by network, including, without limitation, any information concerning or relating to the Program, the Program’s applicants, the participants, the location(s) of the Program, the events contained in the Program, and/or the outcome of any contest in or episode of the Program, that you read, hear or otherwise acquire or learn in connection with or as a result of your applying to be a participant on the Program or (if you are selected to be a participant) as the result of your experiences as a participant on the Program (collectively, the “Information and Materials”). You acknowledge and agree that the Information and Materials are confidential and the exclusive property of Producer and/or Network. At no time will you ever, directly or indirectly, divulge in any manner or use or permit others to use any of the Information and Materials. You need to get on this TV show nick8086. Or Jake. That plywood-topped air cleaner was a one year only option. Very rare!